We featured The Boardroom Cafe on the blog a couple of weeks ago. 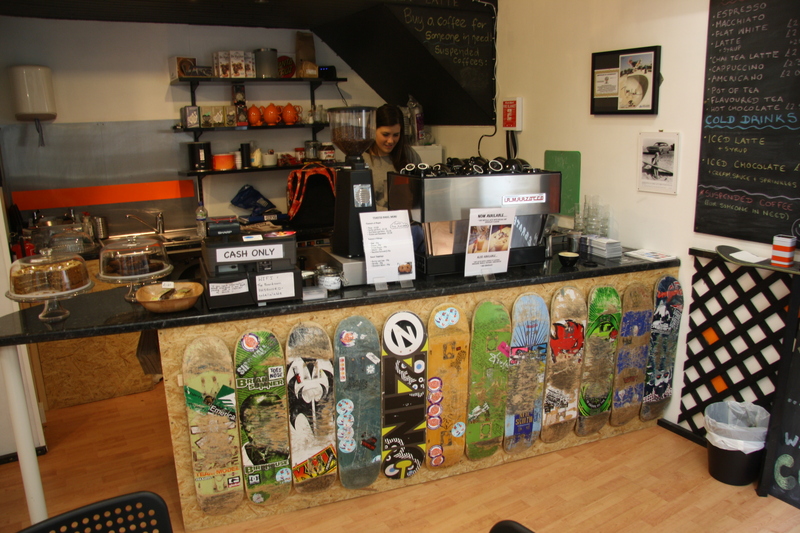 Now more good news about an initiative being run through the cafe – you can buy a ‘suspended coffee’, which owner Caroline will give to a homeless person at the end of the day. and for goodness sake, go visit the place! Online: The Boardroom Cafe Facebook page and in real life: 8 Duke Street Arcade. ← Welcoming the Bone Yard … and the We Are Cardiff / We Are Cardiff Press office!